Looking for something to do this weekend? Head on over to the Humble Bundle to grab a copy of The Flame in the Flood for free while the offer lasts. Then, continue on to Steam and obtain Oddworld: Abe's Oddysee for the magic price of 100 percent off. 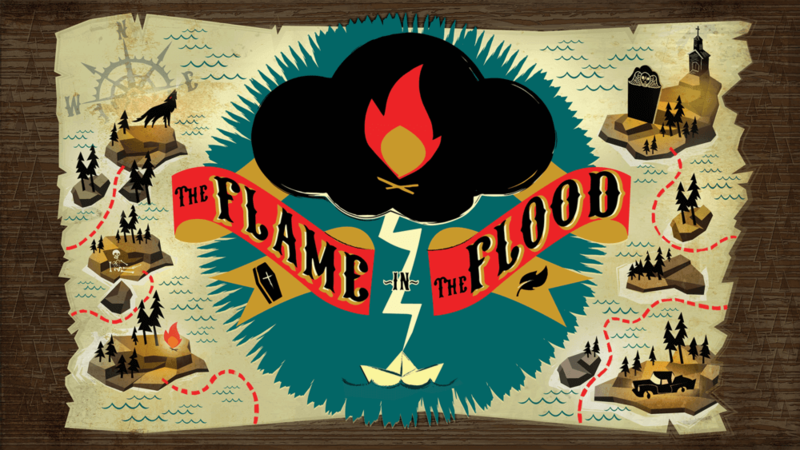 The Flame in the Flood is a survival adventure game originally released in February 2016. A young girl named Scout is accompanied by her dog Aesop who is capable of getting supplies and sensing danger ahead. An extremely large flood has turned the map into a series of islands that can be traversed. Players must keep Scout alive by maintaining enough energy and warmth while preventing hunger and thirst. A crafting system allows for the creation of new items collected from scavenged goods. Oddworld: Abe's Oddysee is a relic from the past but has maintained very positive reviews. Originally released in 1997, this Oddworld rendition is a 2D platformer and adventure game. Abe, the first class floor-waxer of RuptureFarms, overhears the boss's plans to turn him and his fellow Mudokons into Tasty Treats to try and save the diminishing meat-packing empire. All other Oddworld games are currently 80 percent off on Steam for a limited time, should you find that you enjoy Abe's Oddysee. Grab your copy of Oddworld: Abe's Oddysee on Steam and The Flame in the Flood from Humble Bundle.